Over the past month I have put a lot of hours into this game, leveling up my two main characters – a hulking great Barbarian who goes by the name of “Kain” and my screen-filling shiny spell casting Wizard “Nodd”. When I first started this game I was a little underwhelmed; The cinematic intro was good, but the initial combat was repetitive, the story felt a bit too weak/generic, and the character interaction was fairly shallow. Playing alone as a Wizard also made things quite tough as enemies would often surround me in large numbers. Mastering the art of rolling all over the place was something I had to learn quickly to stay alive. It was only after opening up to multiplayer that this game really drew me in. 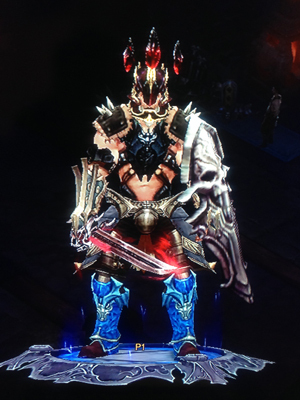 Diablo 3 offers both local and online co-op for up to 4 people at a time (where you can enjoy a mix of local and online players if you wish). It wasn’t long before I had unlocked a few new spells, blacksmithing, jewelcrafting, and then the biggest addiction of all… loot! Glorious loot! That urge to find another legendary item or level up to gain new abilities/spells is just too strong, and one of the main reasons this has been such a popular game for me lately. I was a HUGE fan of Battlefield: Bad Company 2, but unfortunately missed out on Battlefield 3. Over the years I seem to have forgotten just how easy it is to die. Death feels much more frequent than the likes of Call of Duty. It also felt a bit… different, but I later discovered that was because I was more accustomed to the “Rush” mode than Conquest. Once I made the switch (and found out how to apply unlocked XP boosts), I began to stay alive longer, level up faster and unlock useful new weapon attachments. 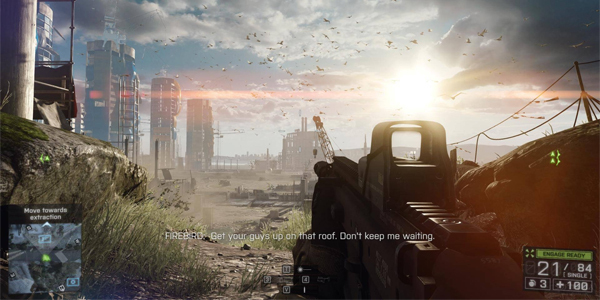 Battlefield 4 is impressive, both online and in the single player campaign. As one of my first Xbox One games, I was completely blown away by the graphics. The lighting effects and scale of each level are particularly worth noting! I’m still a complete noob at this game and forever trying to resist the temptation of “upgrading” to a premium membership. So if you have any good tips, please feel free to share them with me in the comments section below. So many Nintendo themed goodies! I used to have Animal Crossing on the original Nintendo DS and loved it. It’s one of those games where it’s extremely hard to explain the appeal, yet it is incredibly absorbing and addictive. At first this felt very similar to the previous game, but I encourage you to stick with it even if you think you exhausted the last one. 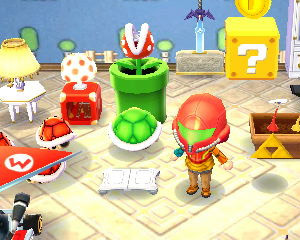 New Leaf has a lot of improvements and additions, but it presents them in a more gradual way. The game really opens up the more you play it. You are now the Mayor of your little town (Mine is called “Noddland”) and it’s not too long before you get to make improvements to that as well as your house. New bridges, buildings, streetlights and more! You can even apply rules to your town such as keeping your shops open for later hours, which is really handy if like me you don’t get to play until later in the evening/at night time. I have some incredibly quirky characters who say some very unusual things at times, a new “Club LOL” which has 8-bit music nights, and have spent a lot of time visiting the tropical island and other people’s houses who I have met through StreetPass. If you have a Nintendo 3DS, I highly recommend you get this game! Wow… where do I start…?! I was very lucky over Christmas in that my girlfriend got me the limited edition Zelda-themed Nintendo 3DS which came bundled with this game. It’s fresh, new and exciting, but also gives a strong sense of nostalgia. For those of you who have played a lot of Zelda games, you will probably be wondering how this differs from previous titles. That is, until you unlock the wall-merging ability! It’s crazy to think how something seemingly so small and almost insignificant can have such a huge impact on the game, but this added dimension opens up a lot of new, reactive and head-scratching puzzles and areas of exploration. I love the art style, the music, the graphics, the 3D effect (it’s definitely worth keeping the 3D mode on in this game), the story, characters, puzzles, dungeons, … everything. Literally everything! Like everyone else I’ve always loved Ocarina of Time, but my close favourite has always been “Links Awakening” on the original GameBoy. 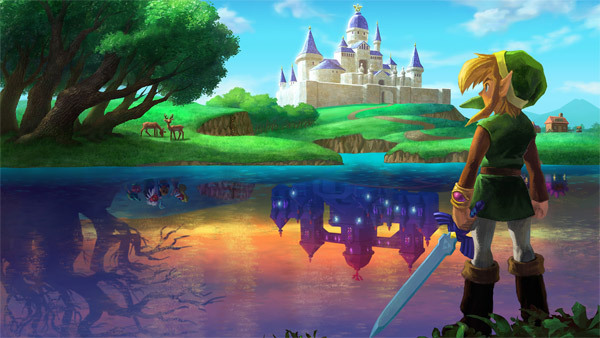 Well, A Link Between Worlds will probably be in my top 3 of all Zelda games. I’m still yet to finish it (I’ve been taking my time as it’s so fun I really don’t want it to end! ), but when I do it’s likely I’ll end up doing a blog post on it in more detail. If there’s any games you’d like to recommend or talk about, feel free to leave a comment below or chat to me on Twitter or Facebook.